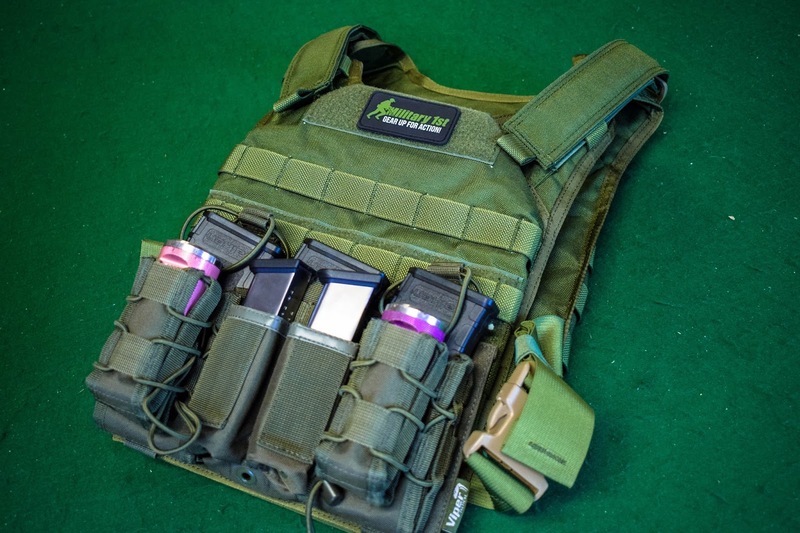 A couple of weeks back I did an unboxing video and review of the Flyye Fast Attack Plate Carrier in Olive Drab with the intention of building an affordable green team plate carrier set-up and here we are! I've teamed up with Military 1st and Viper Tactical to make this possible. For the green team loadout, I wanted to create something that would be really lightweight and a usable set-up for CQB. The main benefits of the Fast Attack model of Plate Carrier are that it is extremely lightweight - weighing in at just 850g including the plates so it's perfect if you want to play fast and it is also covered in molle from the top to bottom on both the front and back meaning you have loads of options for what pouches, packs and panels you can attach. 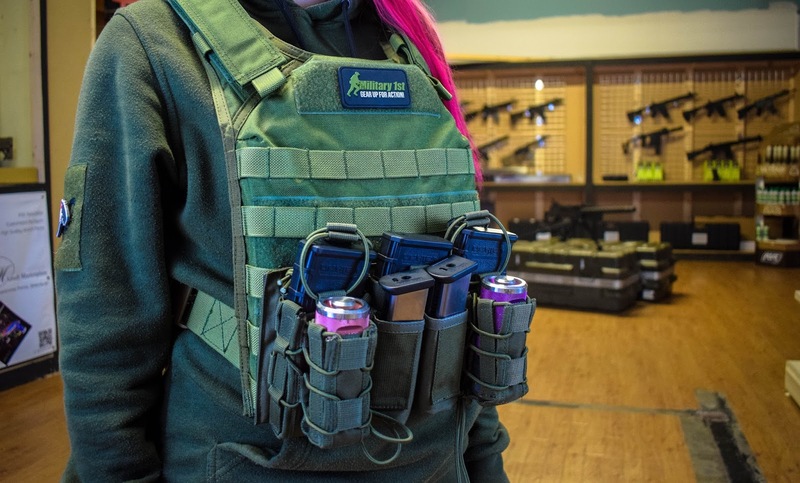 The Mag Rig from Viper Tactical has 3 x M4 mag pouches, 2 x pistol mag pouches and 2 x 40mm pouches that can hold anything from TRMRs, extra pistol mags and 40mm smoke grenades/flashbangs. For me this is exactly what I'd need for a CQB game - enough mags for a few games, it carries extra pistol mags in case things get super close and it has room for pyro for when you need to gain entry to a room quickly and efficiently. What I really like about the Mag Rig is although it is a super affordable piece of kit, it looks a lot more expensive than it actually is! So how are we looking on price? 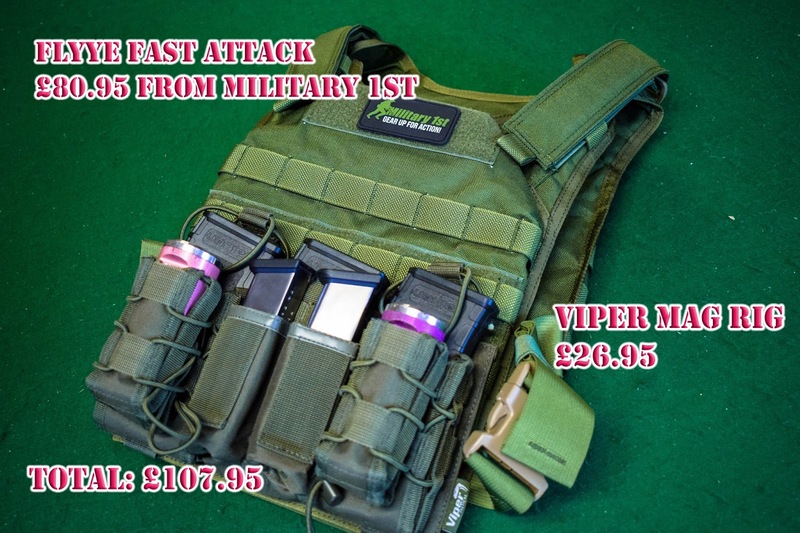 The Plate Carrier for this set-up retails at £80.95 and the Mag Rig panel retails for £26.95 which comes to a total of £107.95! 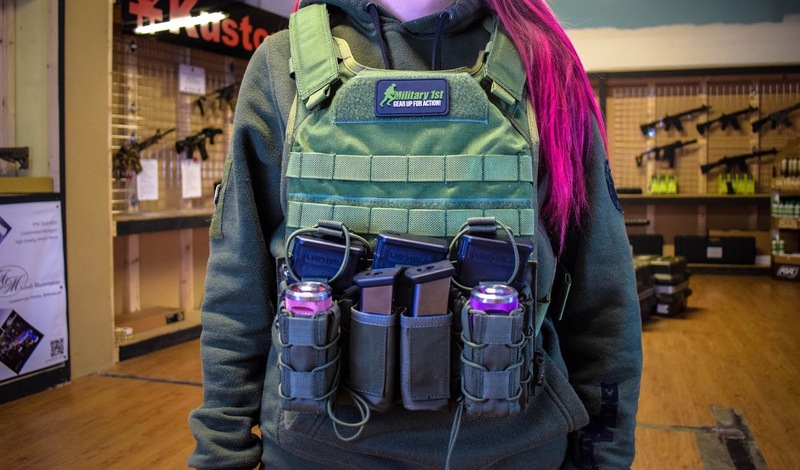 For a full set-up that looks cool and is ready to skirmish in one set of molle this is a great price.